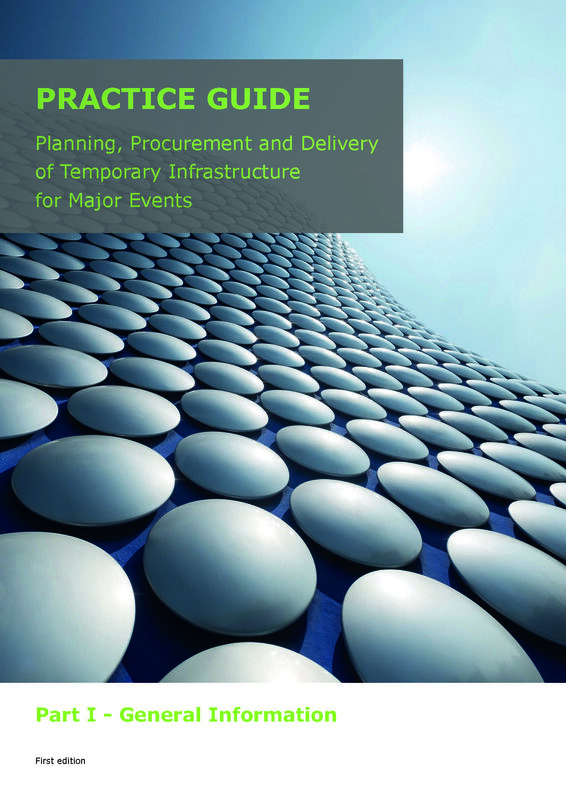 The “Practice Guide for the Planning, Procurement and Delivery of Temporary Infrastructure for Major Events” is conceived as an inclusive publication for event organisers, building authorities and governmental bodies involved in event infrastructure. in such a way as to facilitate various modes of use. 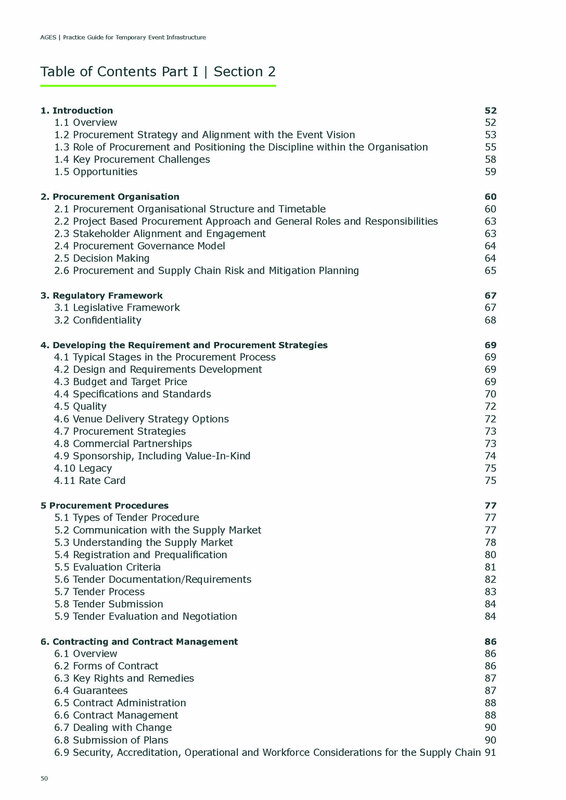 Part I General Information is divided into the main sections Planning, Procurement and Delivery. 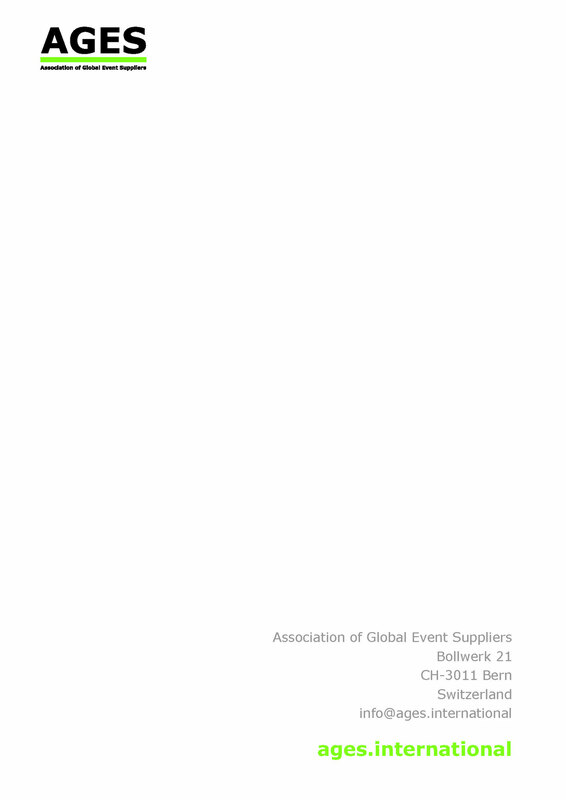 This 200 page document provides a narrative explaining the activities and procedures in chronological order, to facilitate a general understanding about overlays for large events. 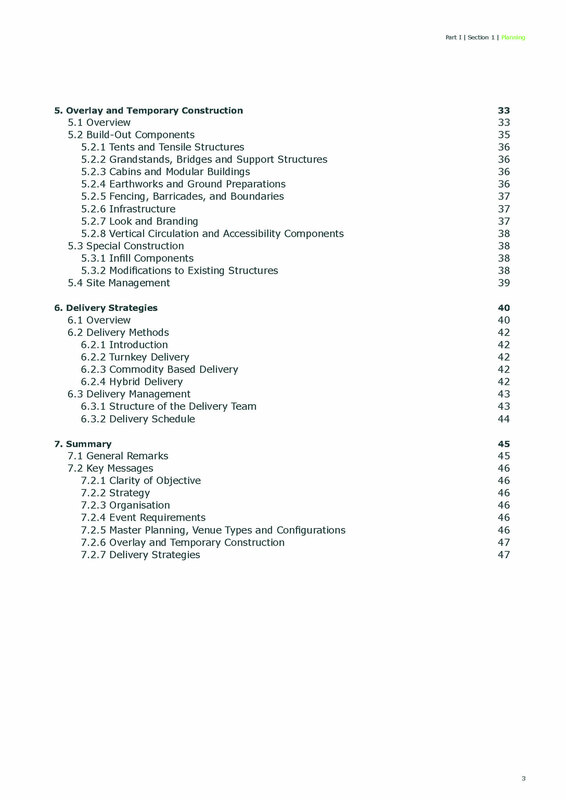 The writers describe and illustrate the relevant strategies, principles, methods, procedures and other information to guide the reader step by step through the delivery process; i.e. 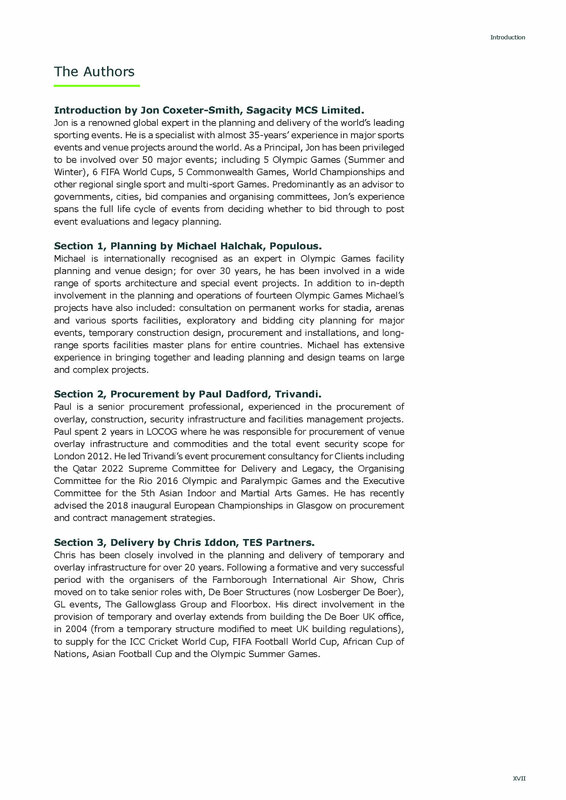 from Planning, through Procurement to Delivery of the event overlay works. 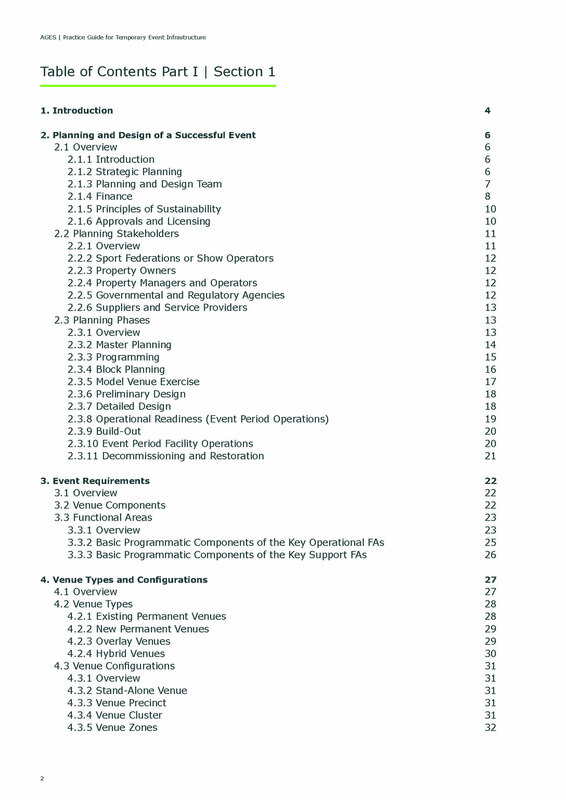 Part II Technical Information - includes the main sections, Code and Standards, Products and Services. 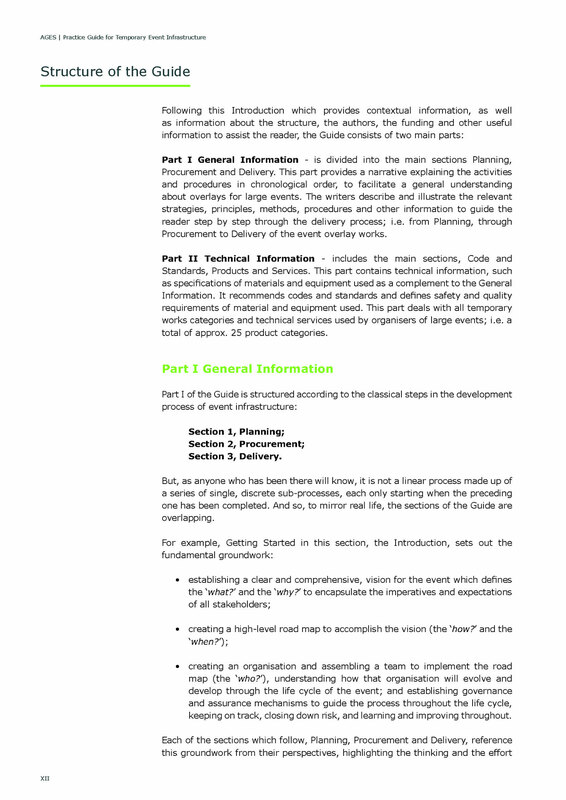 This part contains technical information, such as specifications of materials and equipment used as a complement to the General Information. 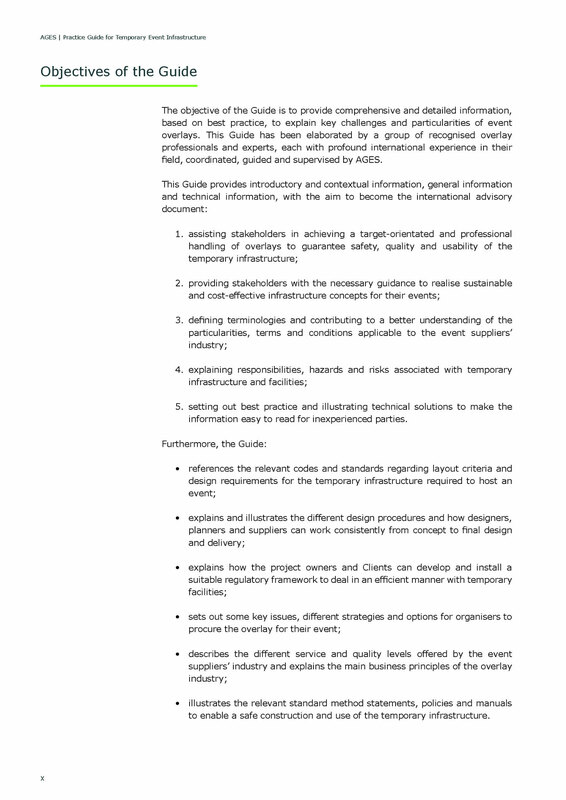 It recommends codes and standards and defines safety and quality requirements of material and equipment used. 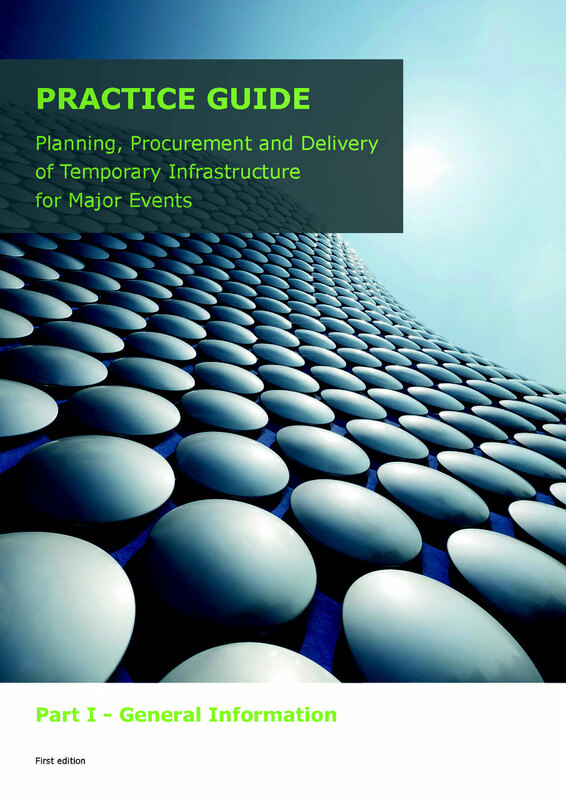 This part deals with all temporary works categories and technical services used by organisers of large events. The price of Part II will be defined after the release date. 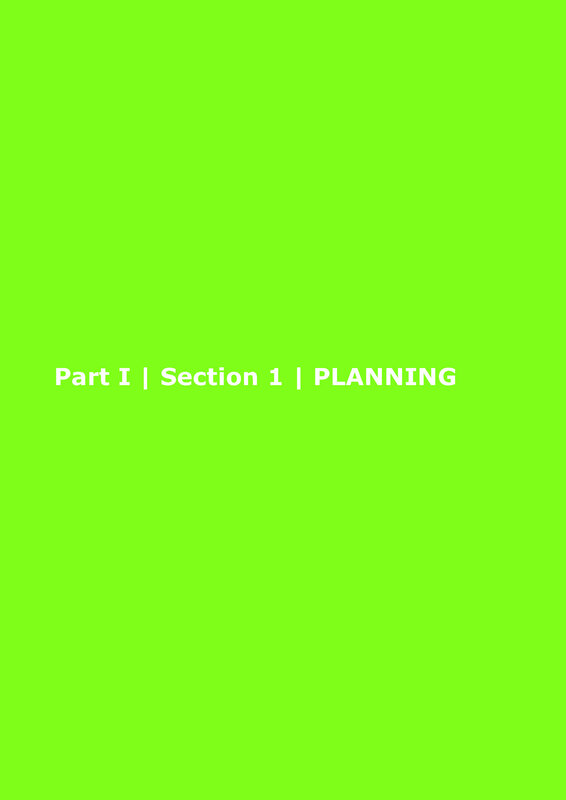 Part II will be available as from April 2020. 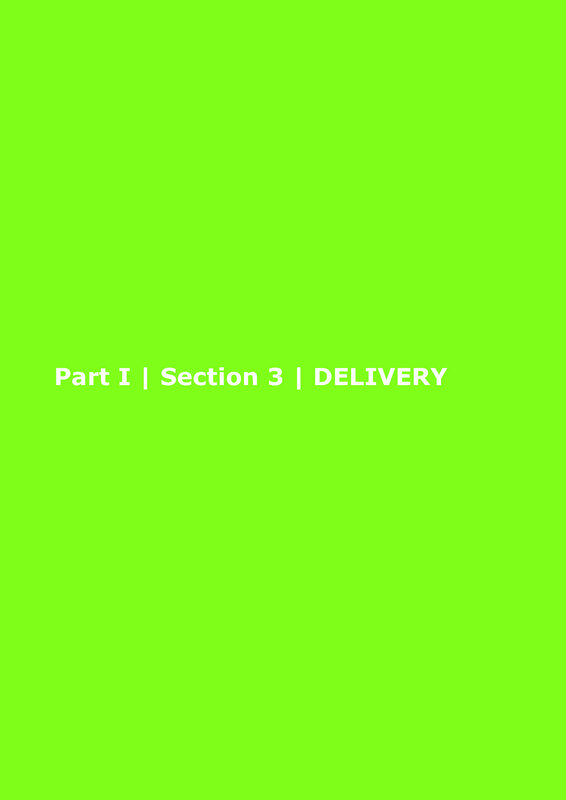 The buyer will receive an invoice upon placing his order with the full banking instruction for payment. 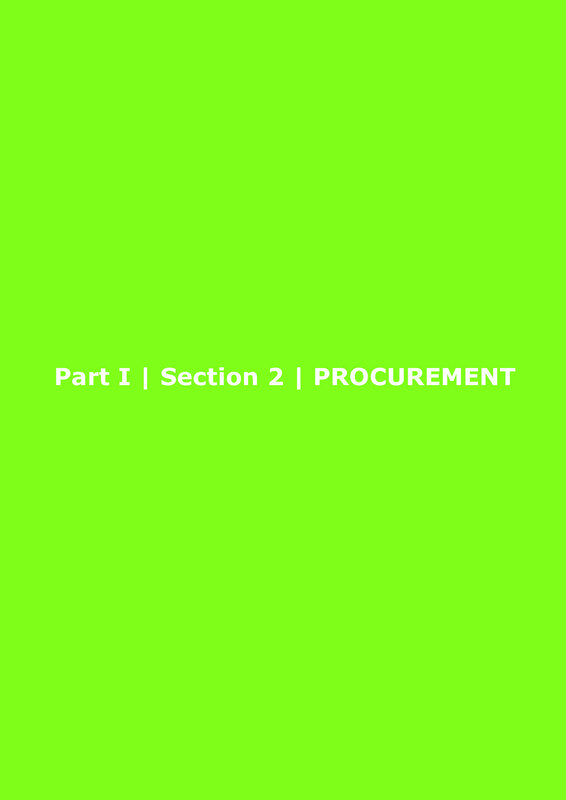 AGES will send the ordered goods upon receipt of payment from the buyer. VAT applies for delivery within Switzerland only. 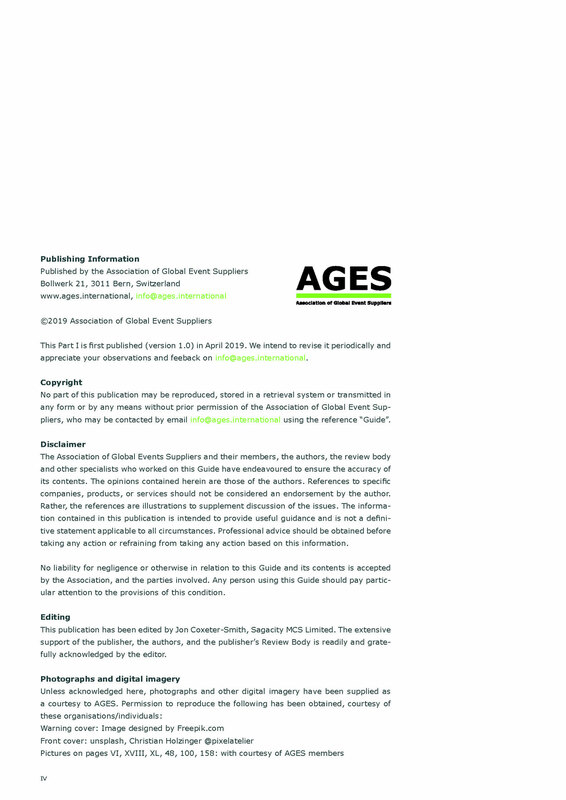 AGES Members benefit from a discount of 30% on the indicated prices. 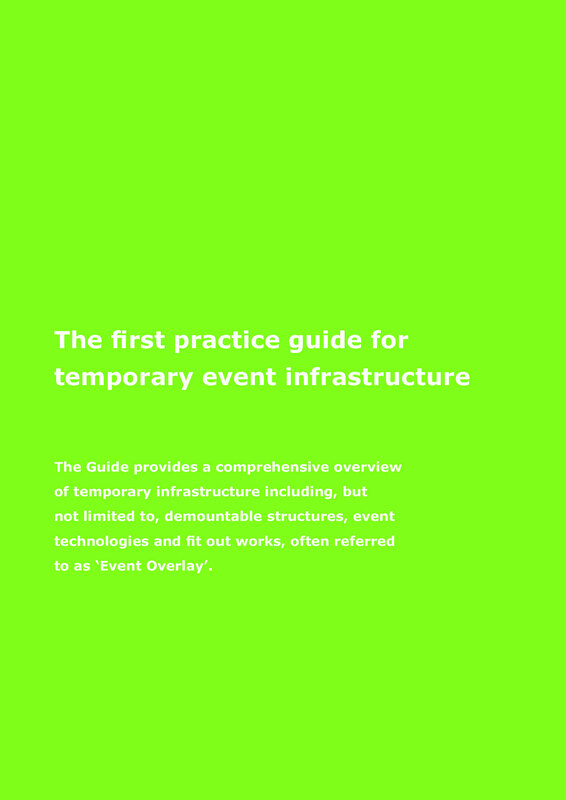 international projects requiring temporary event infrastructure. 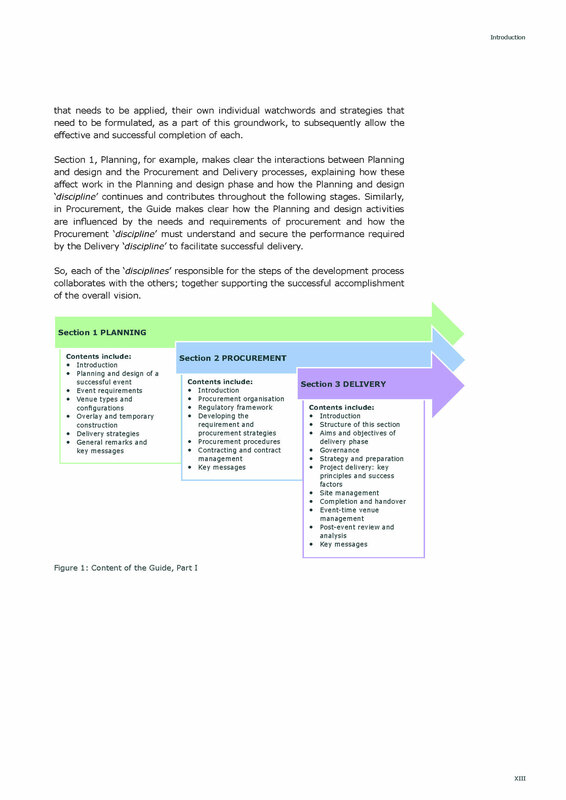 The templates address all industry specific aspects and provide a clear and fair share of responsibilities and obligations for the buyer and the seller. 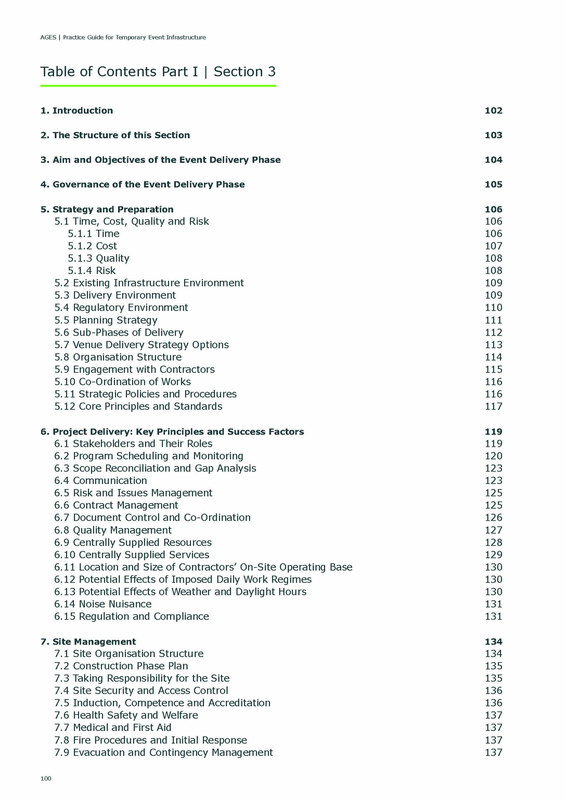 All relevant project specific information can be incorporated in the relevant annexes. 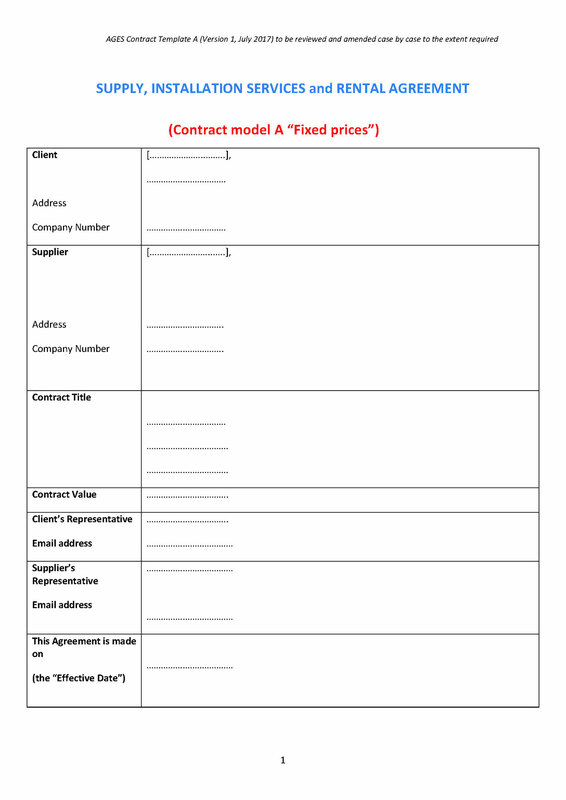 The templates form a good basis for both parties to negotiate a suitable, project specific contract. 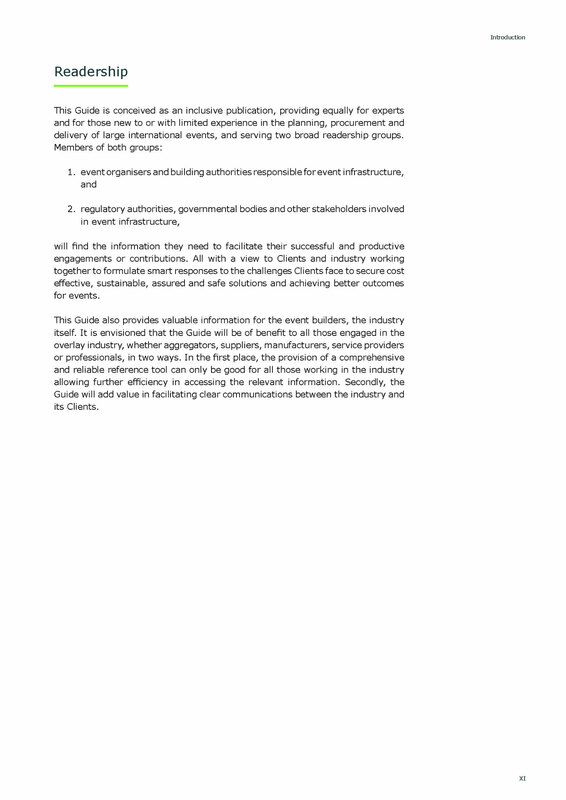 The template address all industry specific aspects and provide a clear and fair share of responsibilities and obligations for the buyer and the seller. 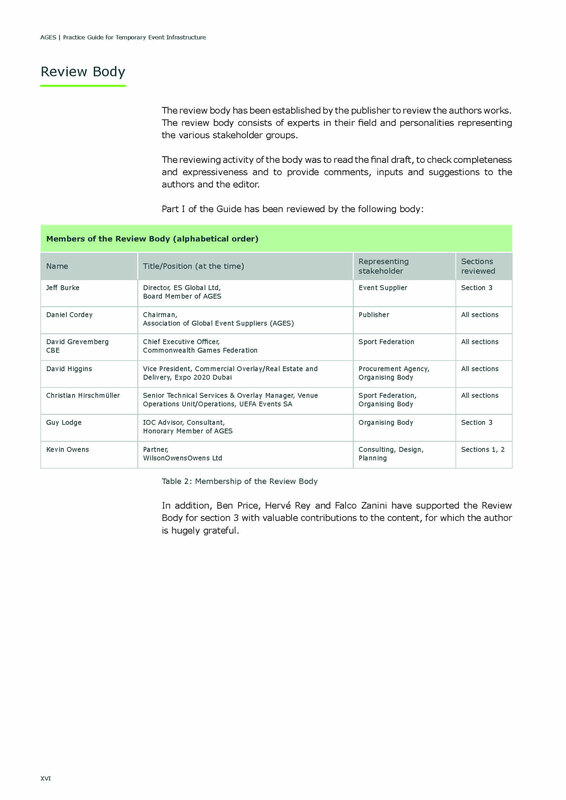 Yellow marks are information which need to be inserted or checked on a project by project basis. 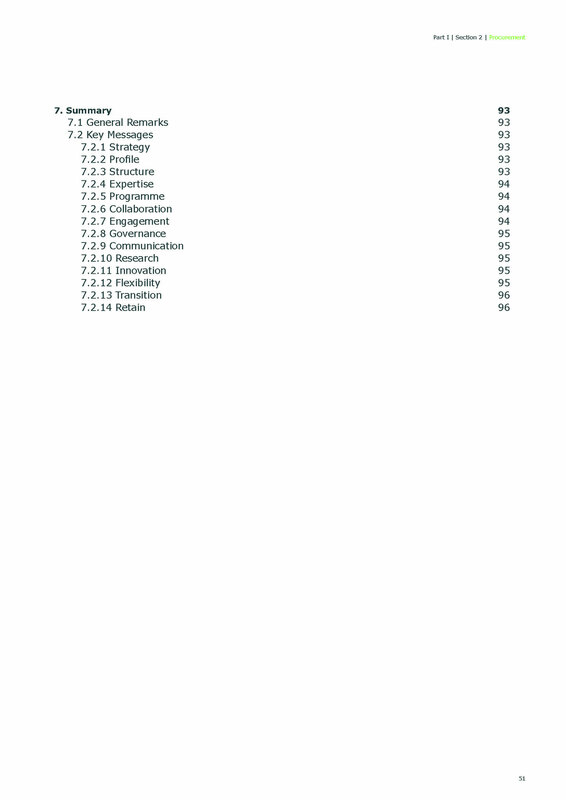 Green marks represent options, such as "Design", or other options which may or may not be considered. 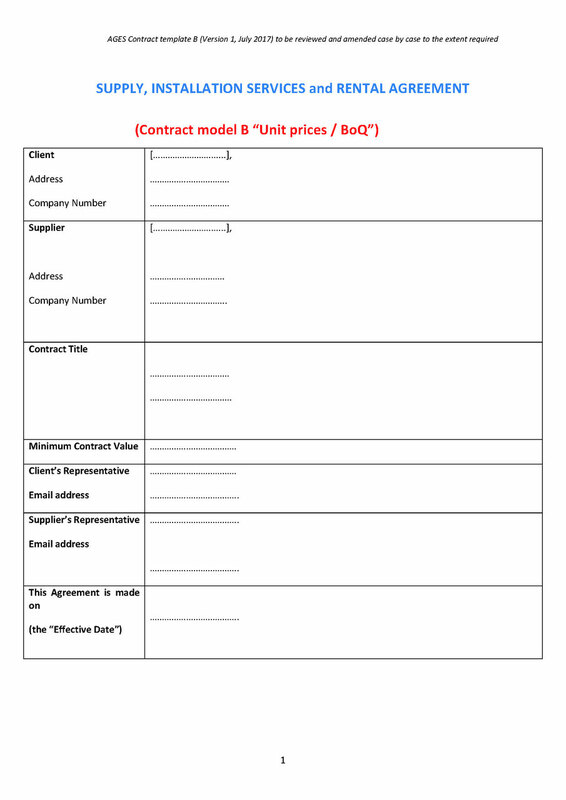 The buyer will receive an invoice upon placing his order with the banking instruction for payment. 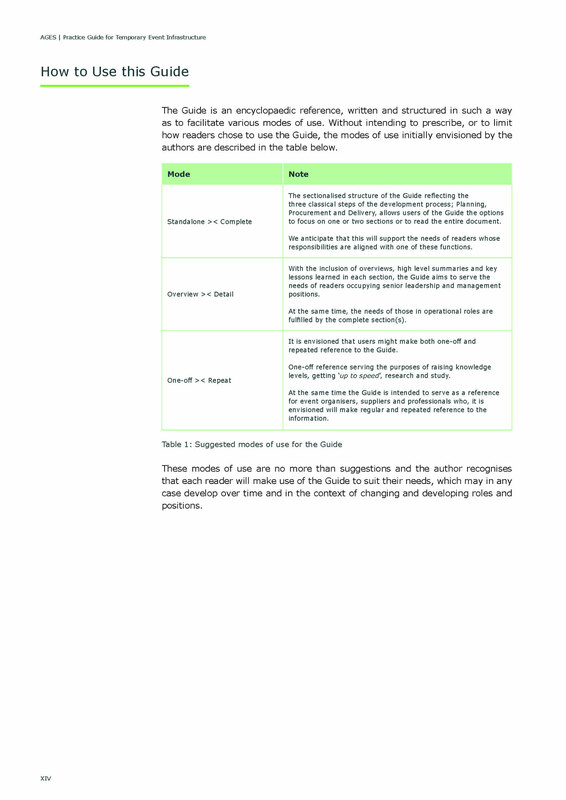 The templates are free of charge for AGES Members. 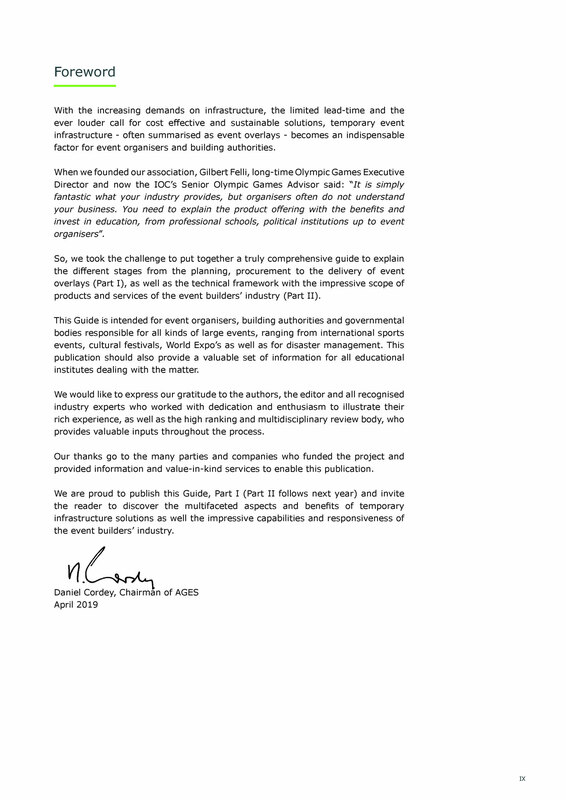 Event organizers and building authorities may request the templates by email to info@ages.international. Please observe that these templates provide guidance only. 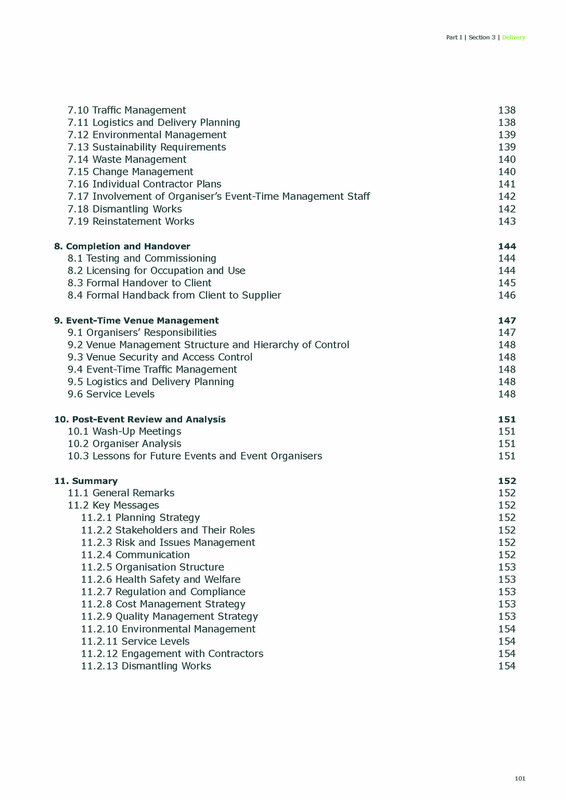 Users will need professional support to adapt the content to prevailing conditions and project specific use. 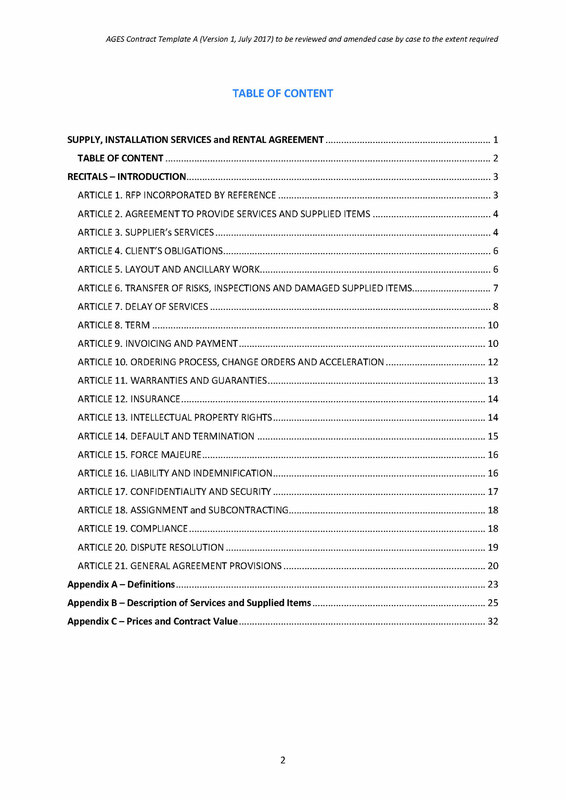 Your attention is drawn in particular to clause 11, which relates to the supply of products containing digital content and the restrictions governing their use. 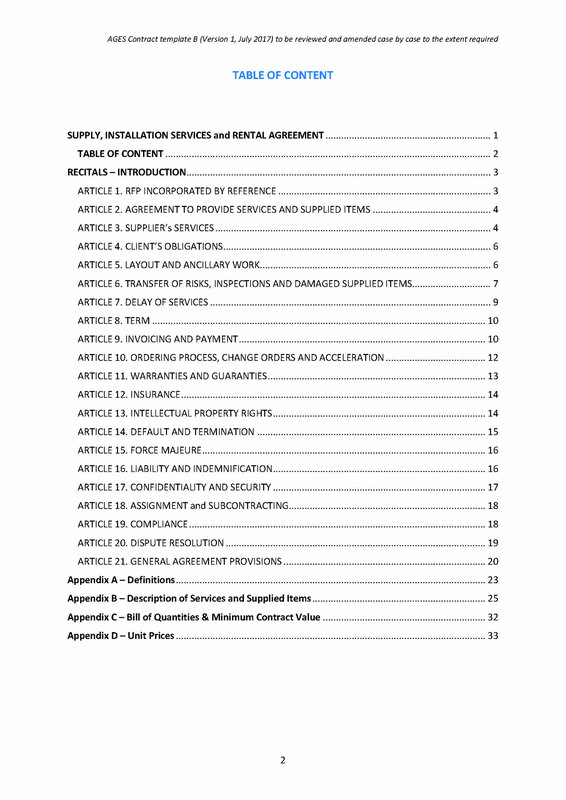 Such products like PDF's, represent a personalized, non-transferable, non-exclusive license to use the content. Reproduction or transmission is prohibited. In case you have any questions, feel free to contact us: shop@ages.international.